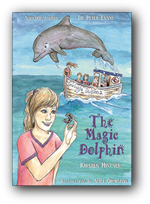 If you are an independant bookshop or similar, and are interested in stocking The Magic Dolphin, then please contact Kirsten via the contact form or email. 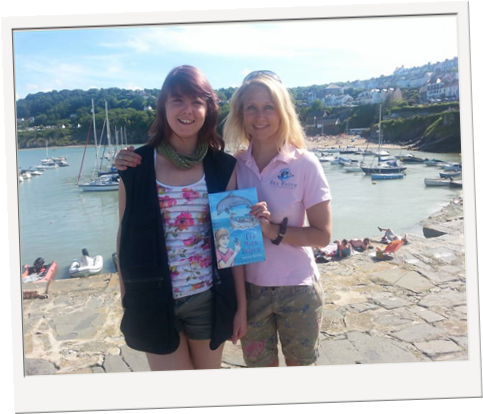 WARNING TO ALL CHILDREN: Once you've read the story, don't be surprised if the magic of Cardigan Bay comes calling you too. • Could turn you into a 'dolphin expert'! 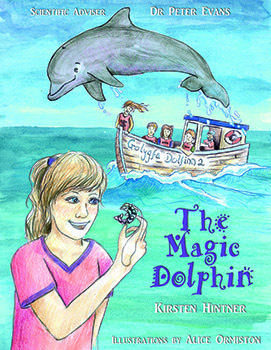 • Is about real UK dolphins that you can adopt and visit. 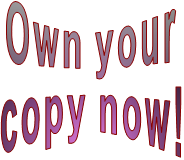 • Contains proper scientific data, including photographs! • And, actually helps dolphins all at the same time! and ready to leap its way in your direction! Watch the trailor below now...! 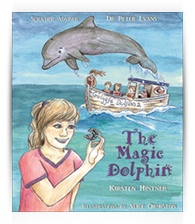 This beautifully illustrated hardback book has been created for all fans of mystery, adventure and...dolphins! Quite simply, it will take you on a journey never visited before. "A must-have for ALL children! I especially liked it when Lucy and Jack set out on a dangerous adventure!!" Cara Button, 8. Uniquely combining science with strong story-telling, it's a book that all animal lovers will lose themselves in. Delight in its characters, real animal-behaviour, photographs and illustrations, and current scientific information from the marine biologists who study them. "Great to see a book so different from the usual. The idea of mixing fact with fiction is a good one. 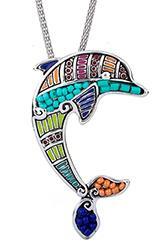 Trouble is my eight year old daughter now wants to visit Cardigan Bay to see the dolphins in the pictures and photos! Dr E Pinn (JNCC). 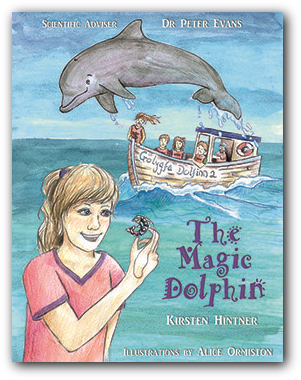 "I love the cliff hanger, and I like that you can follow a dolphin's life from the beginning." Maria, 9. You'll feel like a dolphin-researcher just reading it! 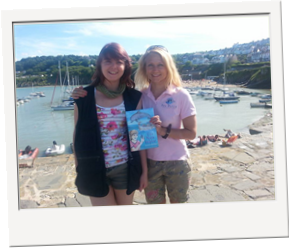 "This book is enchanting, an ideal gift for a young budding Eco warrior. An exciting story and fantastic educational tool!" UK Department for Environmental Education. "I started reading it as soon as I opened it, and barely stopped until it was finished!" Maria, 9. 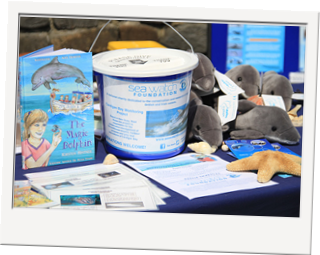 With each book sale a donation goes directly back into the research work that Sea Watch conduct, to help keep the dolphins safe. • Could turn you into a 'dolphin expert'. • Is about real UK dolphins that you can visit. • Contains proper scientific data, including photos! No? Well, think again, because that very book is now here, and ready to leap its way in your direction! With each book sale, a donation goes directly back into the research work that Sea Watch conduct, to help keep the dolphins safe. "The storyline is amazing. I loved the way the author added true information to the story, merging magic with the everyday world! 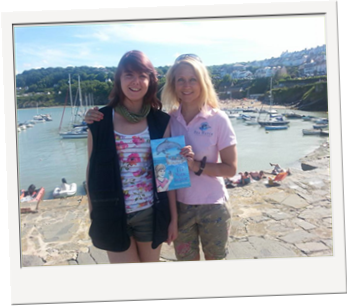 You can also purchase your copy via PayPal or direct through the Adopt a Dolphin shop! to make sure you get more of the best stuff from The Magic Dolphin! 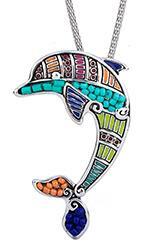 Stunning dolphin pendant, studed with colourful beads and hung from a sparkly chain. Measuring 65mm from top to tail. 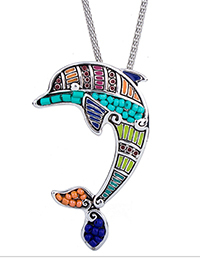 The Magic Dolphin £9.99!! +P&P £2.50. 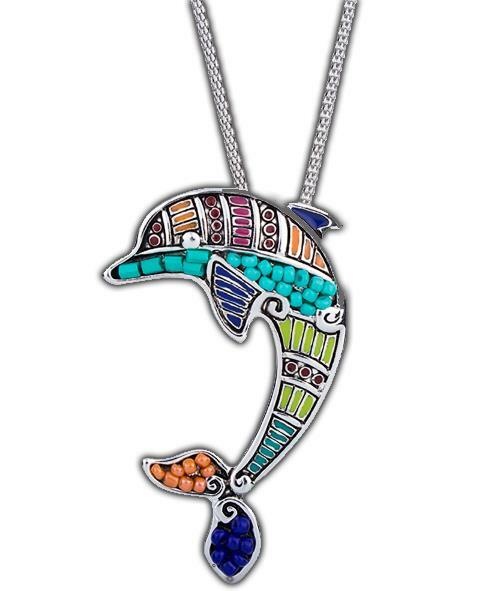 Or, choose the book & pendant combo just £19.79!! 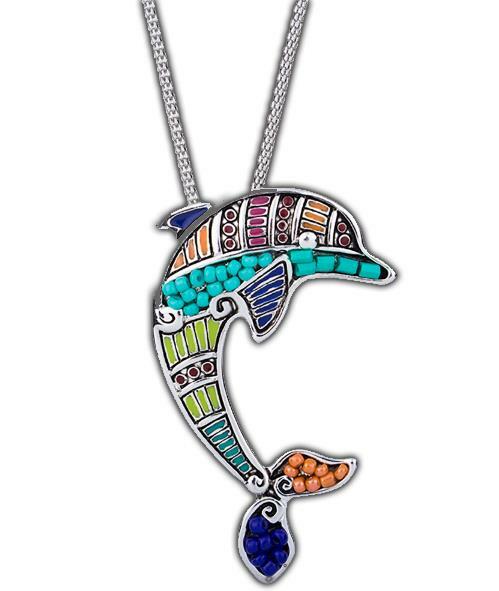 The Magic Dolphin £9.99+P&P £2.50. Or, buy the book & pendant for just £19.79!! If you prefer your jewelry a little more delicate, then go for our mini-pendant for just £4.97 (+£2.00 P&P). 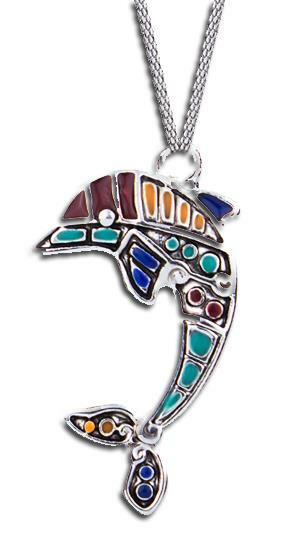 Colourful and hung on a sterling-silver chain. Measuring 25mm from top to tail.